I've been spending so much time pondering this upcoming birth, and going back to the only experience I can compare it to at this point: Nicky's birth. I think they may be very different experiences, both beautiful and special in their own way. It's hard to give proper words to that experience, but I'll try. His due date was September 15, and it came and went. There were some hints here and there that something might be happening soon, and so my Mom came to stay with us a few days later. We had a fun couple of days, and I was glad to have the company during Ricky's work hours. Finally on the morning of the 19th, I noticed some clear fluid leaking, and though maybe it was amniotic fluid. I went to see my nurse-midwife to have the fluid tested and for a quick ultrasound. Turned out the fluid wasn't amniotic, and everything looked fine on the ultrasound, but I was dilated 1-2 cm. 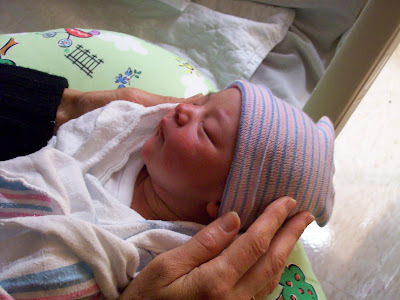 I was so impatient to meet this baby, that I practically begged the midwife to give me something to speed up the labor. She suggested prostaglandin gel, which helps the cervix to "ripen". We headed home for a light lunch, packed a bag, and went to the hospital, where I was given a gown and bed, and the nurse administered the gel. Then, we just had to wait. About four hours later, the nurse encouraged me to walk for a while, so Ricky and I set off. After an hour of walking the halls, I started feeling some contractions. Walking strengthened them, and soon I was needing to stop with each one, to breathe and internalize. With the contractions established in a regular, strong pattern, we returned to the room and soon I was ready to get in the tub. I spent probably about 2-3 hours in the water, just breathing through the contractions and talking to Ricky, my Mom, and my mother in law who arrived during this time. I had gone into this birth with an open mind as far as pain management is concerned; kind of hoping for a natural experience but also not knowing how bad the pain would be, so open to the idea of intervention. I was getting pretty uncomfortable, and the nurse offered me pain medication to "take the edge off." I took her up on it, and ended up getting some Nubain through my IV after getting back into bed. Really, it just made me dizzy and a little nauseated, but the pain was about the same. I think it was about 10 or 11 pm at this point, and I was 4-5 cm dilated. I kept working through the contractions, and by midnight when the epidural was offered for the 15th time, I finally accepted. I curled up in the fetal position and gritted my teeth, managing to hold still while the anesthesiologist placed the needle. I will never forget the moment when the pain just melted away from the waist down. It was nice, I'm not going to lie. With this new relief, we settled down into nap-mode for a few hours. I felt relieved that Ricky and my mom could sleep a little bit before the big moment. I just kind of dozed. 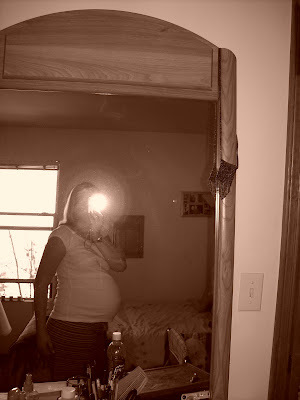 At some point my nurse came in to check me and I think I was about 8-9 cm dilated at this point. My water still hadn't broken, and she actually just popped the bag open with her (gloved) fingernail. By 6 in the morning I was fully dilated and effaced, and my CNM and her student showed up, and it was time to push. The two hours it took to push him out felt like about 30 minutes. 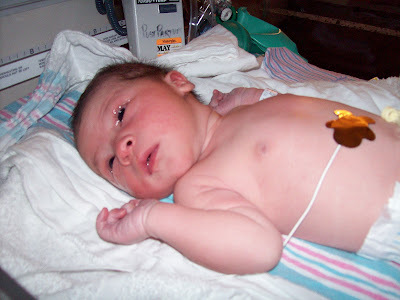 It was frustrating for me to not be able to feel the contractions because of the epidural. I had to look for visual cues from the midwives or nurses, as they were watching the fetal monitor screen. Honestly that made me feel less capable of getting the job done. There were so many people in the room, but I don't know who many of them were. I think there must have been some students around or something. Suprisingly, I wasn't bothered by the crowd or the cheering they produced. 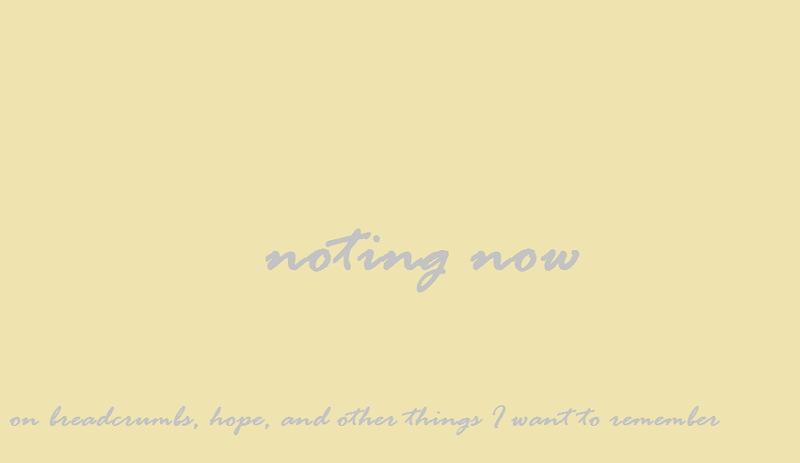 I found it somewhat encouraging. I did start to doubt that I was making as much progress as everyone was telling me, especially when I touched Nicky's head and expected to feel so much more of it. I hit the proverbial wall just moments before he was born. I really started to believe that I couldn't do it, that I was going to need a c-section or at the very least a vacuum extractor to pull the baby out. Then, inexplicably to me, I gave a final massive push and he was out. I couldn't believe it. I think I was just saying "Really??? He's out?" over and over and then just thanking God so much-that it was over, that I did it, that I got to meet my son at long last. So many things were happening at once. Ricky was sobbing, which I later found out was mostly out of sheer relief that I was okay. I saw the baby just gazing around, not crying, with a stunned expression on his face and I felt and overwhelming urge to comfort him. The nurses were giving him oxygen on the bedside cart. I was getting stitched up. 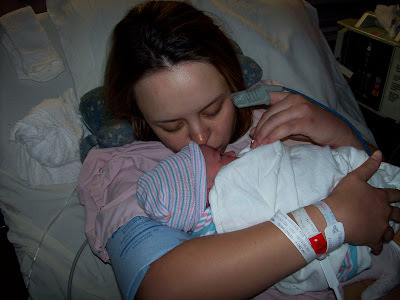 It all runs together in my memory, and I honestly can't even remember when I really held him for the first time. I just remember being absolutely overwhelmed with gratefulness. I loved him instantly, in a deeper way than I had while I was carrying him. I felt like I had seen a whole new side of myself-an empowered, capable self. I really do believe that giving birth gives a woman this incredible gift. For the rest of my life, I can tap into that, and remind myself that I am capable. And so, after this whirlwind introduction to the world of motherhood, the next phase of life began.